One of the most common debates in sales is how to best measure performance and other sales indicators. While some organizations prefer process-oriented KPIs, others have an outcome-oriented bias. Both ends of the spectrum are invaluable for powering your sales, but when it comes to prioritizing inputs vs. output, the “i’s” have it. Keeping a watchful eye on pertinent input metrics doesn’t have to translate into a case of micromanagement however. Tracking a few key data points can make all the difference between building a scalable and sustainable level of performance, and simply maintaining (or worse, relinquishing) the status quo. At the other end of the pipeline, output KPIs are intrinsically variable for obvious reasons: sales outcomes, like revenue generation or the number of deals closed, can vary greatly from one sale to the next. 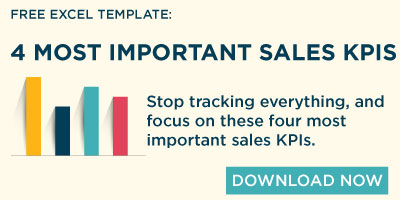 And while minimizing the effect of sales anomalies is possible to a certain extent (by identifying and flagging deals that are 3x or greater in size than your average company deal, for example), the fact remains that outlier results, both positive and negative, often paint a misleading picture of what sales personnel are actually doing. Even though many professionals prefer to focus on measuring their sales performance in terms of output, and more specifically in terms of how much business they’re earning, this approach alone can actually do a major disservice to sales rep and employer alike. Learning, adopting, and implementing best practices within the sales process funnel often means the difference between making and breaking a successful career. Take the real-life example of an enthusiastic sales rep who somehow managed to close several significant deals within days of starting a new position. Beginner’s luck? Possibly. But the point here is that the achievement of such hugely measurable performance right out of the gate made learning and implementing a vital set of input KPIs seem rather unnecessary. Needless to say, this particular sales rep never made any meaningful money again. Companies that choose to rigorously track and monitor number of sales meetings attended and other controllable input activities designed to establish and evaluate KPIs, also tend to benefit from a focused methodology that’s extremely useful in pushing progress in the right direction. The bottom line is that sales input activities are behaviors, while outputs are results. And behaviors can be learned and modified. So if input and output metrics are all about measuring specific activities and results, then drivers are what directly influence those measurements. When we learn to effectively identify drivers, we can learn how to accomplish our goals down to the smallest of actionable increments. If I want to generate five business leads in Singapore, for example, I can use both leading indicators and performance tracking to determine how many field days it typically takes to generate a given number of new accounts. Drivers demand certain methods of behavior—and sales input KPIs are the very best way to not only determine what those methods should be, but to control them. Of course sales output matters; it HAS to matter. Quotas and revenues keep the big machines running, and measuring that output with the help of performance tracking metrics is paramount. 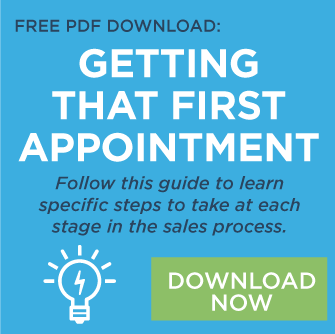 But for every sales result measured, there’s a series of mini-steps that made that result possible, and there’s no question that controllable inputs lay the foundation for more impactful performance. Big picture debates aside, when it comes to ramping up profits and growing a business, little changes on one end of the sales process are what lead to huge advances on the other. And for the sales professional looking to exceed goals and maximize performance, it's the incremental improvements that really matter at the end of the day. Matthew Murray is the Managing Director of Notable. Notable develops business leads in Singapore and matches SME service providers with clients looking for their services.